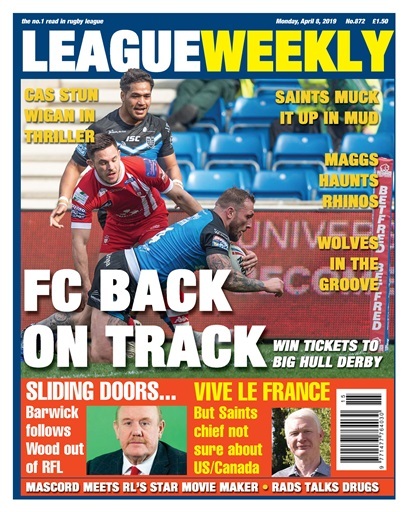 Super League leaders St Helens came a cropper in the mud of Perpignan, and perennial powerhouses Wigan and Leeds continued their 2019 struggles. 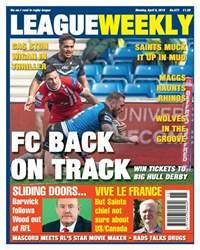 It was a busy news week in RL as Brian Barwick resigned as RFL and SL chairman, while drug/drink problems beset Wigan once again – we speak to Kris Radlinski about how the club is trying to handle things. Meanwhile Saints boss Eamonn McManus had words of praise for French rugby – but was distinctly cool about expansion in Canada and the USA. All the best news and views with the sport's top columnists - as ever in Rugby League's no.1!